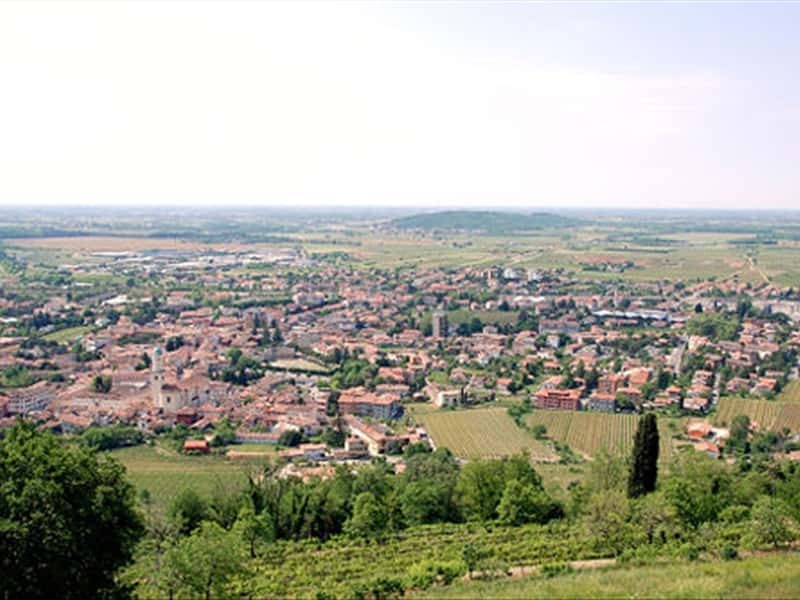 Municipality in the province of Gorizia, located in the plain of the Collio, at the slopes of Mount Quarin, near the border with Slovenia, the town's territory is divided into 2 districts: Borgnano and Brazzano. It is famous and appreciated for the extraordinary quality of wines, produced in the surrounding countryside. It has pre-Roman origins and was a military camp during the colonization of the Romans. At the fall of the Empire, there was a lack of order and security, the area was easy prey for the Barbarian invaders. In 610 came the turn of the Lombards, who were responsible for the fortification of the center, while in the Middle Ages, it was the seat of the Patriarchs of Aquileia. Thanks to its privileged position, on the main road to Gorizia, it was the subject of dispute between the Patriarchs and the Counts of Gorizia, that in the XIII century were able to have it granted in fief. In the XV century, the city obtained its own statutes and until World War I it was subject to the Habsburg domain, with the exception of the period when it was occupied by the Serenissima and the Napoleonic army. - the remains of the Castle on Mount Quarin. This town web page has been visited 34,893 times.